Custom Stonhenge Private Access Tours. Perfect for individuals, families and small groups. 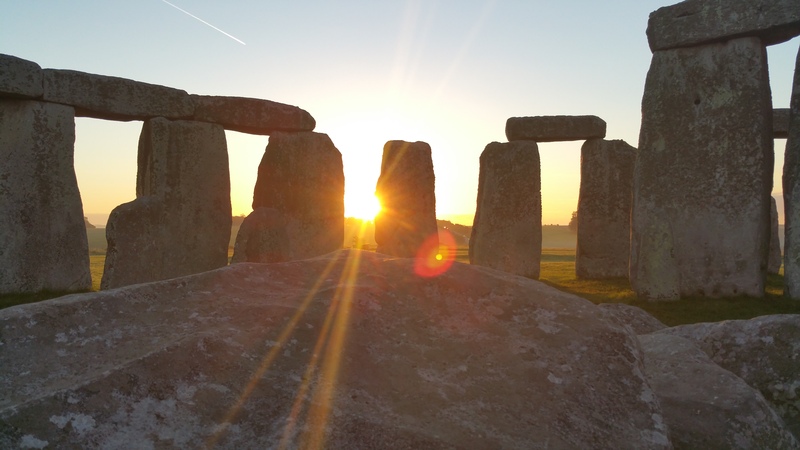 Planning on visiting Stonehenge and want to experience the inner circle at sunrise or sunset? If scheduled Stonehenge coach tours do not suit your travel plans and you are travelling with family or a small group then a ‘bespoke private tour might be the answer, giving you greater flexibility, door to door service on the day YOU want to travel. Our bespoke Stonehenge private access tours can be tailored to suit your requirements and may be cheaper than you think. Experience sunrise / sunset from within the inner circle of Stonehenge. Magical! Bespoke Guided Tours of the Inner Circle of Stonehenge. This is a rare opportunity to visit one of the most popular and mystifying Prehistoric sites in the world. The special access tour is an early morning (sunrise) or evening (sunset) event, closed off to the general public where you will be able to walk amongst the stones and stand within the stone circle! In the evening after Stonehenge is closed to the public, or at dawn before it is open, we can arrange exclusive access for you to visit this awe-inspiring prehistoric monument and walk among the giant sarsen stones towering 6.4 m high and weighing up to 50 tonnes. Go beyond the fences & after the crowds have gone home. Walk amongst the stones & experience the magical atmosphere within the inner circle. Normal viewing only permits access from the path that surrounds the circle. Stonehenge dates from 3100BC, and you will be walking where very few people have access. Your guide will explain some of the theories behind this amazing feat of Prehistoric construction. At first it was a blur on the horizon, a small, grey silhouette rising softly into the haze. Grassy meadows dotted with cowslips and grazing sheep rolled around me. The silence was broken only by birdsong and the occasional scuff of our boots. The path dipped down into a valley before veering left – and the blur came into focus as that familiar stone circle and one of Neolithic man’s most astonishing achievements, Stonehenge. Standing proud on the skyline, it was magnificent to behold as I followed the remnants of a parallel pair of ditches and banks. I was walking up The Avenue, the ancient ceremonial approach which once connected Stonehenge to the River Avon and which is aligned with the sunrise of the summer solstice. This is the view people would have seen more than 4,000 years ago, when they trekked up here on the final leg of their journey. My own journey on foot had begun eight miles south, in the Woodford Valley, where the River Avon criss-crosses verdant wheat fields and dense forest. I had arrived with a group of four other walkers accompanied by David Howell, guide and local historian from the walking specialist Foot Trails. Within moments my surroundings seemed to burst into life – the smell of wet nettles, the chirrup of skylarks, a butterfly flitting next to my elbow. We crossed a footbridge over the Avon, a tranquil, blue-black stretch that flows from Salisbury Plain to Christchurch in Dorset, 38 miles away. “The river was an important transport route for ancient man, and played a vital role in the construction of Stonehenge,” David explained. Not only was the Avon a highway for transporting fish, it is believed the river was used to carry the dolerite bluestones of the inner ring, which came from Wales. Although the exact origins and purpose of Stonehenge have been lost, theories as to why it was built range from human sacrifice to astronomy. But what remains is not what the original builders would have seen, as it is at least the third monument that has stood on this site. Around 2150BC, it changed from a henge – a ditch and bank of earth – to a monument of growing importance, featuring the bluestones and later huge Sarsens from the Marlborough Downs. Work stopped around 1500BC, leaving the stone circle roughly as it is today. Shadowing the river, we dropped into dense forest peppered with wild garlic, crossed Lower Woodford with its pretty cottages and thatched cob walls, then paused beside a field of flint. We pressed on, taking in views of Lake House, the Elizabethan home of Sting, who recorded “Fields of Gold” there after apparently being inspired by the surrounding barley fields. Climbing steadily, we entered what David called the “sacred heart of the landscape”, punctuated with barrows, or burial mounds, which would once have been white. As we climbed, a dozen grassy lumps rose out of the downs around us, expanding and contracting as our perspective shifted. Then, a gap on the horizon opened to reveal the distant but unmistakable outline of Stonehenge, bathed in sunlight, about half a mile away. The monument is false-crested, set slightly below the summit, to make it visible both from the valley and from afar. fter half a day on David’s route, avoiding the busy national trails, we had passed no other walkers, and now I felt like we had the stones all to ourselves. It was the perfect spot for a picnic. Refuelled, we skirted a wide semi-circle around the stones to see them at different angles. Each time I paused and looked towards them, they appeared different, first short and fat, then tall and thin. But all the while they were mesmerising, a dramatic display of human ingenuity that took more than 30 million hours of labour to create. After a busy but brief crossing of the unavoidable A303, we traversed a field to join The Avenue bending up from the Avon, turning south-west for our final approach. Standing in the stone circle, as the shadows hugged the ground, I looked out towards the fields with their lumpy barrows, and down the chalk-strewn Avenue, where the sun will soon rise, marking the summer solstice. Foot Trails (01747 820626; foottrails.co.uk) offers ‘Journey to the Stones’ on the first Thursday of every month, until 6 October. 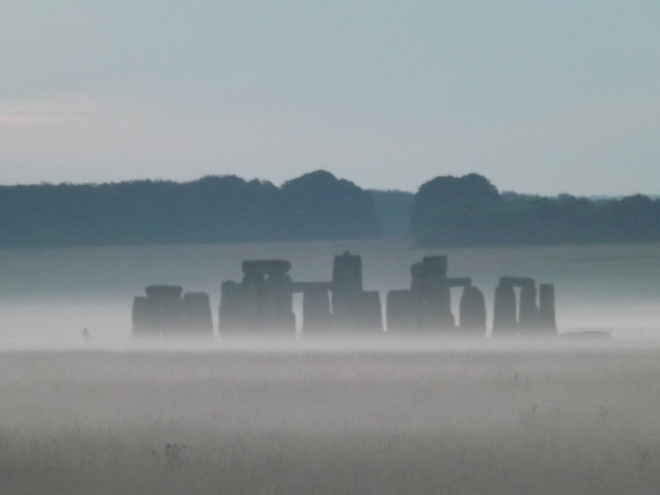 The guided day walk costs £75, including return transfers from Salisbury railway station, picnic lunch, entrance to Stonehenge, the services of a guide – and the occasional fortifying barley sugar. Private guided tours can be organised on request. Stonehenge Special Access tours are available most but not all months of the year, (no visits available in October and November and are not available on and around the Summer Solstice). Evening Special Access is only available in the summer months. Demand for Stonehenge access tours far exceeds supply, dates are often sold out many months in advance. Do not expect to get tickets without ordering well in advance. Register your interest now by simple sending us your email address and we will offer you 2015 tours before they are published online, giving you the opportunity to secure your preferred travel date. These will include all operators and all itineraries with departures from London, Salisbury and Bath.